So I started down this path last Friday but I think ended up having too many carbs that night and falling out of ketosis. Saturday I was bad and took in an excessive amount of carbs but I’ve been pretty good since and can tell ketosis is starting up again. The earliest indicator for me is the change in my breath. 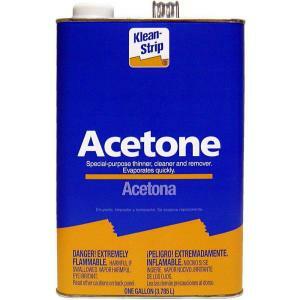 As we get into ketosis, one of the ketones that we produce is acetone and the body cannot use it as it does the others. It ends up being excreted as waste mostly through the urine and the breath. Definitely yesterday & maybe a bit before, I can tell the change in my breath. I’m not sure how to best describe it. I think I feel a difference in the density of it? It feels heavier or denser. Still feeling the difference in my breath today and this evening I started dragging again. Haven’t felt as low energy as last Friday yet but it feels like it’s coming. No strong muscle or joint aches yet either though I feel something going on in my left trapezius muscle. I’m actually surprised it took as long to get back here as it has. I’ve been pretty strict & figured I’d drop right back into ketosis but that wasn’t the case. My weight loss had also stalled. Originally I dropped from about 203.8 all the way down to 196.0 in the first week. The last 3 days I’ve been right at 197.6. How Will It Be and How Long Will It Last? Earlier today I’d actually been feeling pretty great. Not hungry. Alert. Full of energy. And today I definitely didn’t have any excess carbs. Started with my bulletproof coffee, had a mini egg omlette mid-morning with bacon, mushrooms, spinach, goat cheddar and green onions and then had curry seasoned chicken and vegetables cooked in coconut oil. Tonight we had shrimp in coconut curry with vegetables. Had a number of pork rinds today and some Red Bull Zero. I’m definitely dragging though. Since I dropped back out of ketosis less than 1 day in, I’m still not sure exactly what I’m in for and how long it will take to pass through. I guess I will just have to let you know as it happens! So I’m struggling with the consumption of diet soda. I know there are a zillion reasons not to drink it. It’s supposed to be bad for your kidneys. It’s linked to a higher risk of metabolic syndrome, the group of symptoms including belly fat and high cholesterol that puts you at risk for heart disease. It supposedly doesn’t help you lose weight. Artificial sweeteners can disrupt the body’s ability to regulate calorie intake based on the sweetness of foods. Because the body is being tricked into thinking it’s eating sugar, we crave more. Cocktails made with diet soda get you drunker, faster. Sugar-free mixers allow liquor to enter your bloodstream much quicker than those with sugar. Diet sodas contain mold inhibitors (not found in most regular sodas). These are things like sodium benzoate or potassium benzoate. Some studies say that these chemicals have the ability to cause severe damage to DNA in the mitochondria to the point that they totally inactivate it–they knock it out altogether. They have also been linked to hives, asthma, and other allergic conditions. Diet sodas are very acidic with a pH of 3.2. While sodas may be diet, they are still very acidic and can readily dissolve enamel. 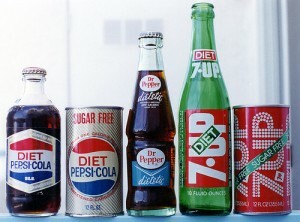 Soda drinkers had far greater decay, more missing teeth, and more fillings. All soda cans are coated with the endocrine disruptor bisphenol A (BPA), which has been linked to everything from heart disease to obesity to reproductive problems. I know what I’ve read seems to indicate that carbs are the biggest dietary problem we have. If drinking diet soda, helps keep the carb count down, could it still be beneficial even with all its baggage? When I’m doing this low carb thing, my body does seem to want some sweet at times. It’s tough to fight. At first thought, diet soda seems to be a good tool to kill this. In the beginning, I was avoiding all sweets completely. No diet anything. No sweet anything. My thought was that avoiding it completely would help me put the cravings behind. Now I’m not sure if that worked. I know when I was working a near all-nighter that I was exhausted & needed something. Felt like I might need something sweet. I swung by Circle K and Red Bull zero and diet Mountain Dew came to my aid along with some beef jerky and pork rinds. Since then, I’ve been drinking some at times. It hasn’t been too bad. I’m not doing the soda fests that I would fall into at times. Just a bit here & there. A 16 oz. bottle of diet Mountain Dew lasted me a few days. I’m thinking that 1/3 of a bottle here & there or even less has seemed to temporarily tame the sugar monster? I’ve currently got a 2 liter of the cheapest diet soda that looked decent (Fanta Zero) in the fridge. Seem to be able to drink it sparingly. We’ll see how that goes. My thought is that it might last me a week. A swig here & a swig there might kill the sugar craving and not have me spiral out of control. Conversely, what about the argument that because the body is being tricked into thinking it’s eating sugar, we keep craving it. Will it just keep the sweet tooth active & tempt me to sway more? I hear some folks saying that if you stay off it for long enough, you lose the craving. I fell off the wagon hard last night. So I definitely fell out of ketosis from what I ate last night. I think I’d actually fallen out the day before from unintentional restaurant food (killer low carb-ish fare from Bink’s) as I felt better yesterday morning from the start. At first I thought I might have already made it through the ketosis blues but I wasn’t that lucky. Now, I did start the day strict. I had my bulletproof coffee. I had 3 eggs with some salami. No real carbs of substance. And then we went out to take the 9 year old to a birthday party that ended up being in east Mesa. That ended up being part of the problem. We stopped by the house of some friends that lived out there, went for a hike and ended up going from 12:30 pm until 5:30 pm without food. I had run out of pork rinds the day before so nothing to turn to. 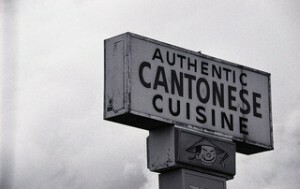 Then when we were looking for a place to eat, there wasn’t much around. We settled on a Chinese restaurant against my better judgement. I was afraid that I wouldn’t be able to find anything that fit the program. 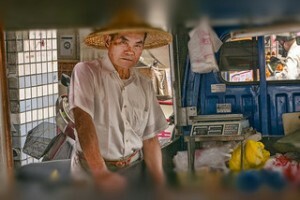 Did a quick Google for low-carb Chinese food & got back a few suggestions. I knew pretty much anything we got was going to have some sugar and probably cornstarch. We ended ordering walnut shrimp (for a couple of the kids), fried rice, beef with vegetables and chicken with black bean sauce. I stuck with the beef and chicken dishes. They weren’t bad (very, very Americanized Chinese food) but I could taste some of the sugar and the big problem was that there wasn’t enough fat. I was still hungry later. Fighting hunger and trying to lay off the carbs is not a challenge I want to take on regularly. Carbs are hard enough on their own. We grabbed a protein style burger from In-N-Out on the way home but I was still up working for hours. Heather fell asleep on the couch so I felt no public shame. With how hungry I still felt and my lack of diligence avoiding carbs, I just broke. 2 1/2 pieces of shortbread – around 45 g? That was at least 116 g of carbs just in late night snack. Not good. Not much else to do but get back on the horse the next morning. Back at it but I was up 1.6 lbs from the previous 2 days when I weighed myself this morning. Like water my system was holding on to with the carb repletion. Not exactly sure what is happening but I feel pretty good today. Yesterday was another story. I was about 7 days into the no/low carb regimen and I was feeling TERRIBLE. I was super low energy pretty much all day. Felt kind of wobbly. Didn’t feel super sharp mentally and then in the evening, my joints (particularly my shoulder) started ache bad. I’d read a bit and knew to expect a period of adjustment when I started to get into ketosis. It wasn’t supposed to be pleasant. It would last a few days to week where I’d feel tired and sluggish. Maybe I’d get irritable, weak, and moody. It could come with headaches, cramps, joint pain and I could experience “brain fog”. As far as what atually happens in ketosis, ketones are molecules generated during fat metabolism. Some are used for energy. But there is one type of ketone molecule, called acetone, that cannot be used and is excreted as waste, mostly in the urine and breath. They say the breath and urine will smell like fruit where some people get a metallic taste in their mouth. Well, starting yesterday, I definitely had something going on with my breath. Didn’t get a specific smell but the consistency of my breath felt different. Felt like the composition of what I exhaled had changed significantly. 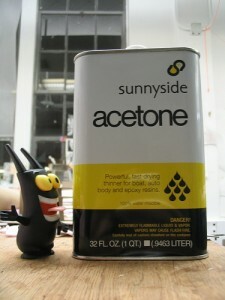 Acetone probably fits the bill. I was also pretty sure I was there as the day previous, I went on a bike ride and absolutely hit the wall. I wasn’t riding hard at all as I knew not to do that but about 2/3rds of the ride, I just bonked. I was out of gas. I’m pretty certain that I had used up my glycogen stores and that’s why I felt the way I did. So I was in ketosis. But why did I feel ok today? Joint pain was gone. Didn’t feel as tired. Was my physiology so incredible that I went through the discomfort stage in 1 day? I was done with the ketogenic blues! Thought back on it more & realized it probably much more likely that I’d had too many carbs yesterday. At lunch, I ate a double double protein style from In-N-Out. As I looked at nutritional info, I saw numbers ranging from 11g carbs to 41g carbs. Yeowch. And I noticed that the lower carb readings came where people had substituted mayo, ketchup, mustard for the spread. I didn’t realize I was supposed to do that. And then for dinner, we had to pick up the 9 year old and figured to grab a super quick bite and food for her. We stopped at Bink’s for possilby the quickest meal we’d ever eaten. Tried to order as low carb as possible (and did a decent job) but I think there were a few things there that might have contributed to the carb count. We started with a kale salad with curried couscous, almonds, dried cherries, pickled onion, red wine. I avoided the dried cherries but missed that there was couscous in it. Wasn’t a ton but had to have gotten a little. Also did a little gem salad with dried tomato, cucumber, charred red onion and buttermilk vinaigrette. Thought I was pretty safe there but who knows. We also had mussles in a wonderful curry coconut broth. We both passed on the amazing scallion focaccia that accompanied it but I did have a taste (though I didn’t swallow). We also had some amazing sand dabs with brown buttter and almonds. That seemed safe. 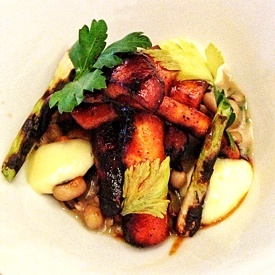 But my guess at what could have been the carb culprit was the BBQ octopus with black eyed peas, bacon, i’itoi onion, aioli. It was phenomenal but it was barbecued with sauce. There was a definitely hint of sweetness to it. It was freaking amazing so I ate my half. That could have been the kicker. So I think I dropped out of ketosis. That’s got to be the explanation I can also tell that my breath is pretty much back to normal too. So back to the super strict following and back to drain those glycogen stores and back to the ketosis blues all over. We’ll see how long they really last when I get through it for real. So I’m not in a position yet to tell you who has the best pork rinds out there. That’s not what I’m saying. So far I have tried Baken-Ets & Mission brands. What I will say though is that within a bag of pork rinds, there are better pork rinds and worse pork rinds. First of all, I haven’t been on the pork rinds for many, many years. I recently read Gary Taubes’ book Why We Get Fat: And What To Do About It and it made enough sense to me to give some of his dietary recommendations a try. Now it isn’t a diet book, it’s a scientific book on why carbohydrates make us fat (along with many other points). It does touch on some dietary guidelines though. So I’ve gone no/low carb as an experiment for a while. It’s about a week since I started & I’m down 7+ pounds already. I believe most of this is water so I’m not claiming success or anything yet. In the beginning, I know I’m using up the glycogen stored in my muscles. Glycogen is glucose and a bunch of water. As the glycogen is used, all of the associated water molecules get released and excreted. So that’s why everybody experiences a huge weight loss in the first week or so. I’ll get into what I’ve actually been eating another day. 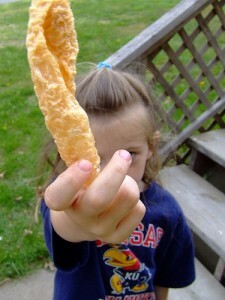 But I HAVE been eating pork rinds. For me, one of the things I need is texture. Pre-this diet, I’d often find myself in the cupboard looking for crackers or chips or pretzels. Something with some crunch. I think I need that. It got particularly hard for me on the 2nd day of this program when I was at my sisters for my nephew’s birthday party. There was all kinds of great food around: crackers & amazing cheeses, chips & homemade salsas & homemade guacamoles, vegetables with hummus, etc. Anyway, seeing all that for hours on end started freaking me out. I needed something with crunch! So I ran to the store & picked up a bunch of pork rinds & some deli ham. Those together killed my cravings & I was ok. Since then, I’ve eaten pork rinds pretty much every day. They’re zero carb so that’s what counts. Well back to my original point. There are good pork rinds and there are bad pork rinds. Or maybe I should say there are good pork rinds and better pork rinds. Now I’m good with your standard puffy, light, crispy pork rind but the great pork rinds are those dense, super crunchy, hiding in the bottom of the bag pork rinds. My guess is that it might not be possible to make all pork rinds that way & the differences are just a byproduct of the cooking process but wouldn’t it be amazing if someone could release a version of only the dense, super crunchy, super crispy pork rinds? Maybe there’s my million dollar idea. My sister recently posted a link to Bulletproof Coffee on my Facebook wall. We’d been talking about diet recently & she and my brother-in-law were embarking upon a new eating regimen similar to Paleo. As part of their plan, mention was made of Bulletproof Cofee. It’s basically coffee with butter and some MCT (medium chain triglycerides) or coconut oil. It actually tastes pretty dang good. It is very creamy, quite satisfying cup of coffee. When I tried it (and I’ve had it every day since), I felt full, enjoyed the taste and was very alert throughout the day. I didn’t have my typical sugar cravings early afternoon (where I’d been grabbing a blue Monster and a Score bar regularly). The recipe is created by Dave Asprey, a biohacker who blogs as the Bulletproof Executive. He came up with the idea when he was given a creamy cup of yak butter tea at 18,000 feet near Mt. Kailash in Tibet. It completely rejuvenated him and he had to know more. 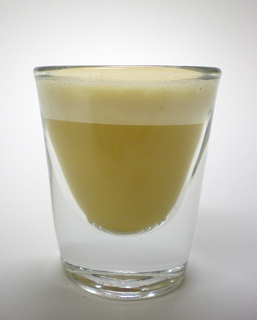 Bulletproof Coffee has a number of supposed benefits. Provides your body with healthy fats for your cell walls and hormones. Helps reset your body’s fat digestion systems and enables you to burn more fat. Programs your body to burn fat for energy all day long! Some Concerns About the Ingredients. Coffee: The recommendation is to use organic, mold-free, preferably single origin coffee beans. There supposedly are toxins in cheap coffee that can steal your mental edge and make you weak where clean coffee provides antioxidants and may fight cancer. Cheap and old coffee are thought to be bad for you because they can harbor toxic molds. The molds that form when green coffee is stored are tied to cancer, heart disease, bad cholesterol, and hormone irregularities. Roasting kills the mold but doesn’t destroy the toxins already present. Avoid decaf. Caffeine protects the beans from more mold decaffeination can introduce new organic toxins or contribute to mold. Don’t use robusta (cheap, instant) beans. They are moldier and higher in caffeine (a defense against mold). Use arabica beans. Look for coffee that is tested to be free of histamines and mold toxins (like Asprey’s Upgraded Coffee). Wet processed beans are also than naturally processed (where beans are dried in the sun giving them time to mold). Wet process coffee uses less time and rinses the beans, resulting in lower-toxin coffee. Look for Central American varieties grown at high elevation. Mold is more scarce there. Single origin is better than major brands. If it is sold by a national coffee house, its mixed with many other sources and it is more likely that toxic mold has made it into the coffee. If you can’t find good beans, brew or order an Americano. Steam helps to break down the toxins. So far, we’re not following this super religiously (just using single origin Nespresso pods primarily because they’re so convenient) but we might look into it later. Butter: You also want to use unsalted grass-fed butter. It provides the benefits of healthy milk fat with none of the damaging denatured casein proteins found in cream. Corn or soy-fed cows don’t make butter with the same fats. Those butters don’t blend well, don’t taste good, and don’t make you feel as good. Grass-fed butter is much healthier than other butter. Kerrygold butter works great and is very tasty. We’re using lots of Kerrygold butter (salted for cooking & unsalted) now. Start with 4-500 ml (2 mugs) of black coffee brewed from the cleanest beans you can find. It’s very fast and easy to prepare. If it is too rich at first, use less butter and build up to the amount you like. Pull an espresso shot in the Nespresso luongo style (just a setting on the machine allowing you to send a bit more water through the coffee pod). Drop in the Kerrygold butter and the coconut oil into one of the Magic Bullet mugs. Add hot water to make an Americano. 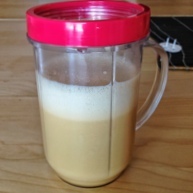 Screw the blender top on to the mug, give it a whirl with the Magic Bullet & we’re done. My sister had a great tip which we’re following now too. Put out your butter & MCT/coconut oil in the cup the night before so it’s soft & warm in the morning. We are just starting with it but enjoy the taste and are quite optimistic. I’ll let you know more once we’re a bit further down the road with it.